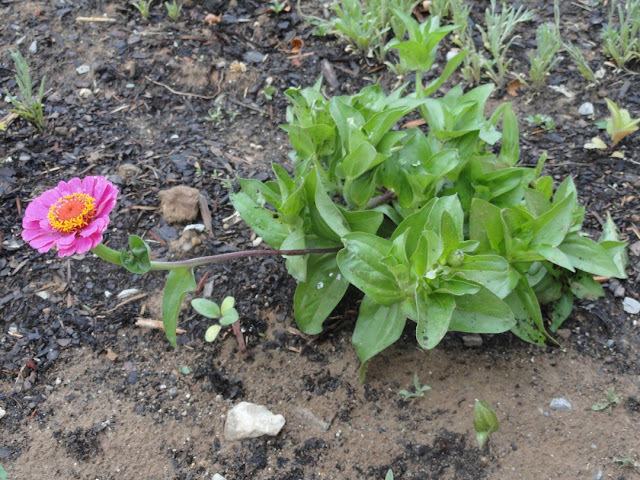 This cosmos binpinnatus plant got flattened by the wind storm. What happens when 60-70 mile per hour winds rip through an exposed hilltop garden as part of an early summer rainstorm? Which plants survived with flying colors and which ones were uprooted or shredded? Russian Sage and perennial geranium toughed it out, but cosmos and zinnia took a real beating. 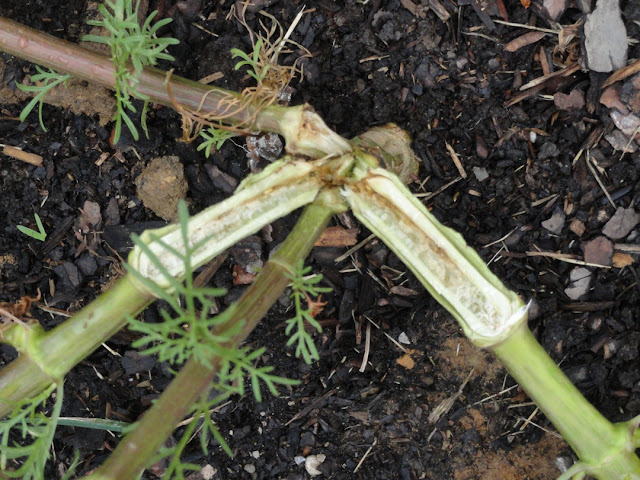 This cosmos stem actually splintered into four shards. 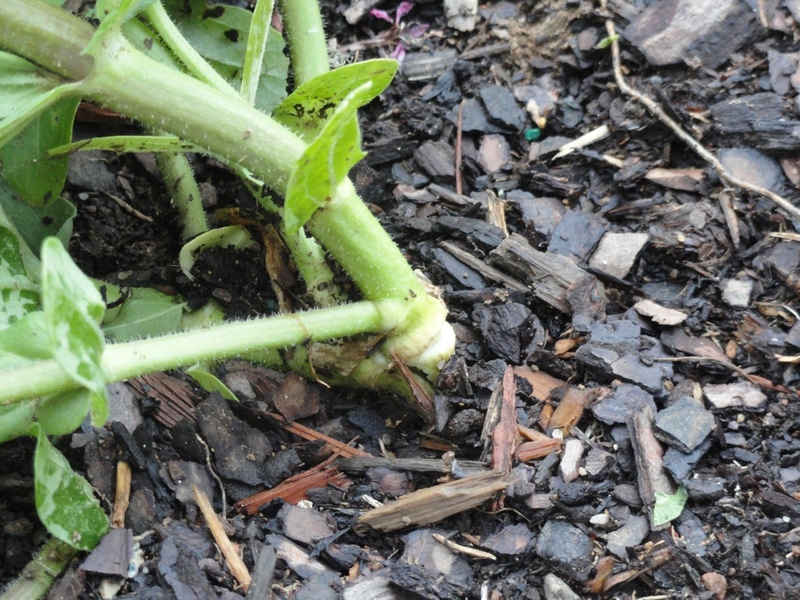 ...but on closer inspection, the stem seems severely damaged at the base. 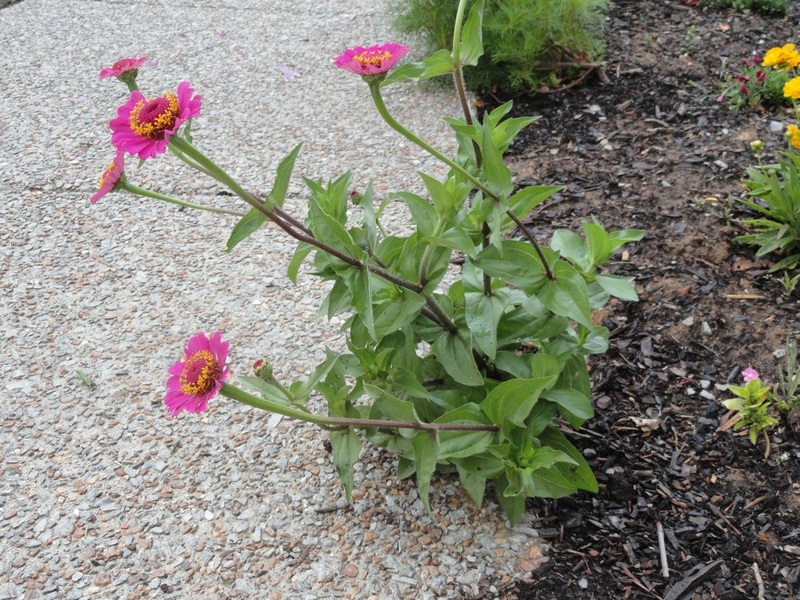 This zinnia on the other hand seems OK. The plant definitely got bent into the pathway, but the stem looks intact. Other than being a little bedraggled, this coreopsis appeared totally unperturbed by the storm. 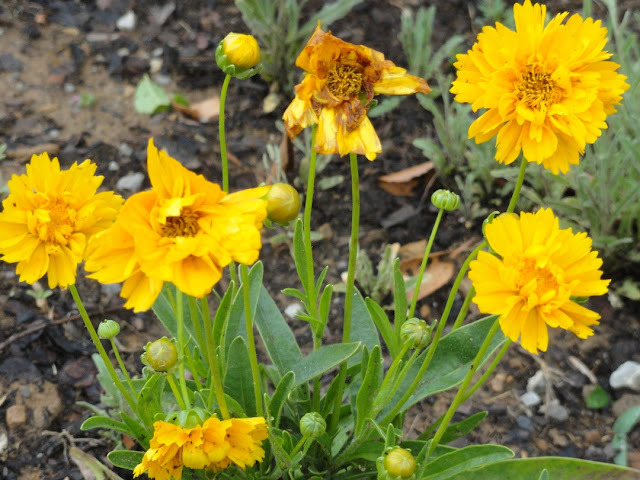 I will say that the perennials - the coreopsis, the russian sage, the geraniums - seemed to come through the storm much better than the annual flowers like zinnia and cosmos. Maybe the annual plants aren't as well rooted or don't put as much energy into building tough stems? Do you encounter windy conditions in your garden? If so, which plants stand strong and which ones topple? Have you successfully ameliorated a wind problem by planting or constructing a wind break? 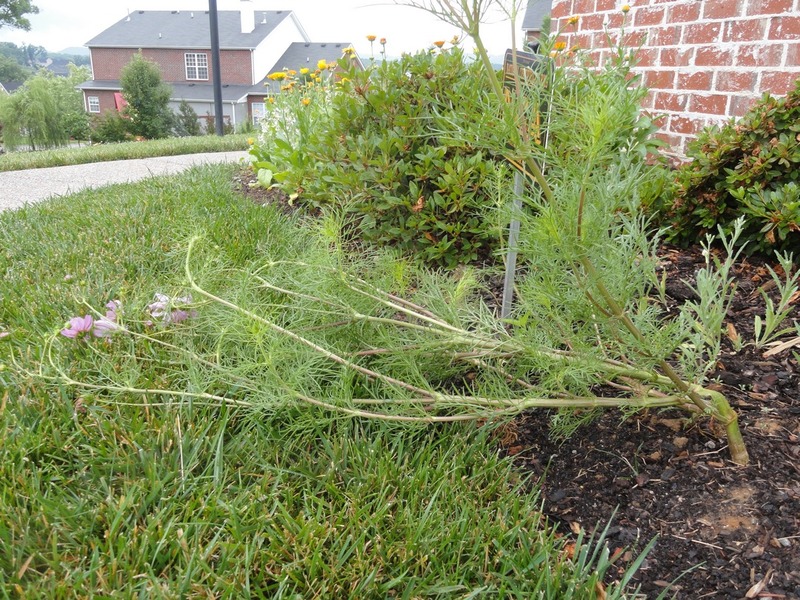 Or do you just refrain from planting annuals or other plants that are prone to wind damage? Your wisdom is welcome in the Comments field!